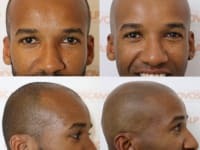 Scalp Micropigmentation also known as "Hair Tattoo" is a relatively new permanent, non-invasive, affordable alternative to transplant surgeries or other hair systems that are high-maintenance, such as wigs or toupes. The procedure involves a master technician making tiny pigment deposits in the scalp with micro-needles to achieve a realistic result that is unnoticeable to the eye. The final look is a closely shaved head of hair with a natural hairline. Or for women experiencing hair loss or hair thinning, we can help you achieve a denser looking head full of hair. You can be assured of natural looking results and an overall positive experience from the outset. 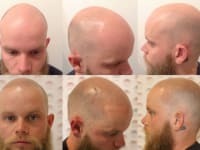 The perfect modern solution for male pattern hair loss. 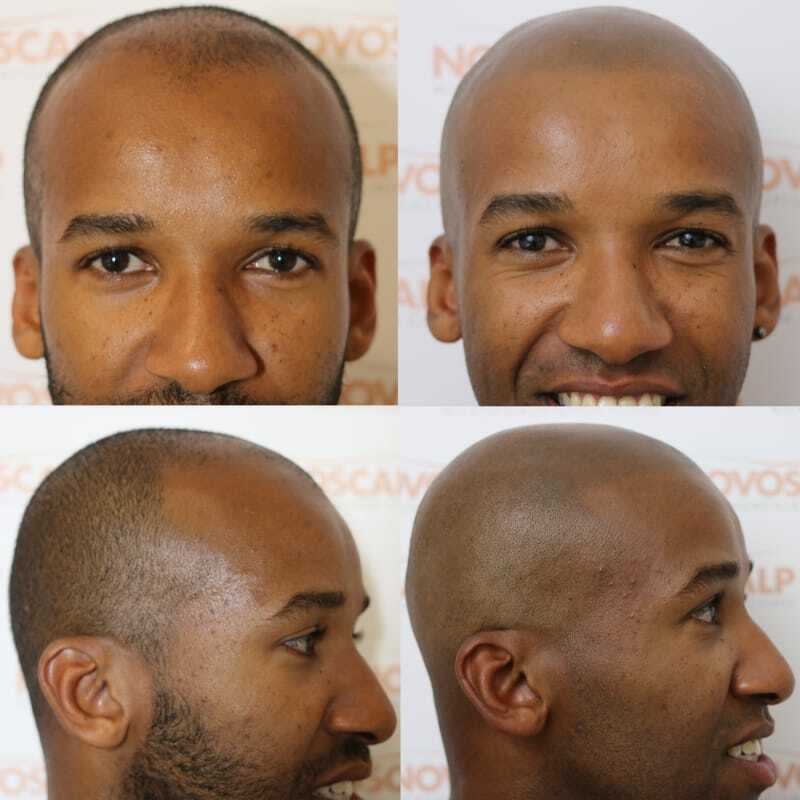 If you are looking for a way to recapture a youthful hairline or to not appear bald or thinning, Scalp Micropigmentation is a permanent, non-invasive, affordable alternative to transplant surgeries, hair systems, prescription drugs, topical treatments and sprinkle or spray on fibres. Unlike these hair loss solutions an SMP Treatment is stigma-free, immediate, convenient and looks completely natural. 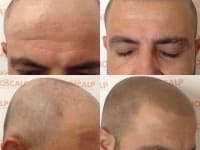 Scalp micropigmentation has evolved considerably since primitive versions first arrived in 2008. 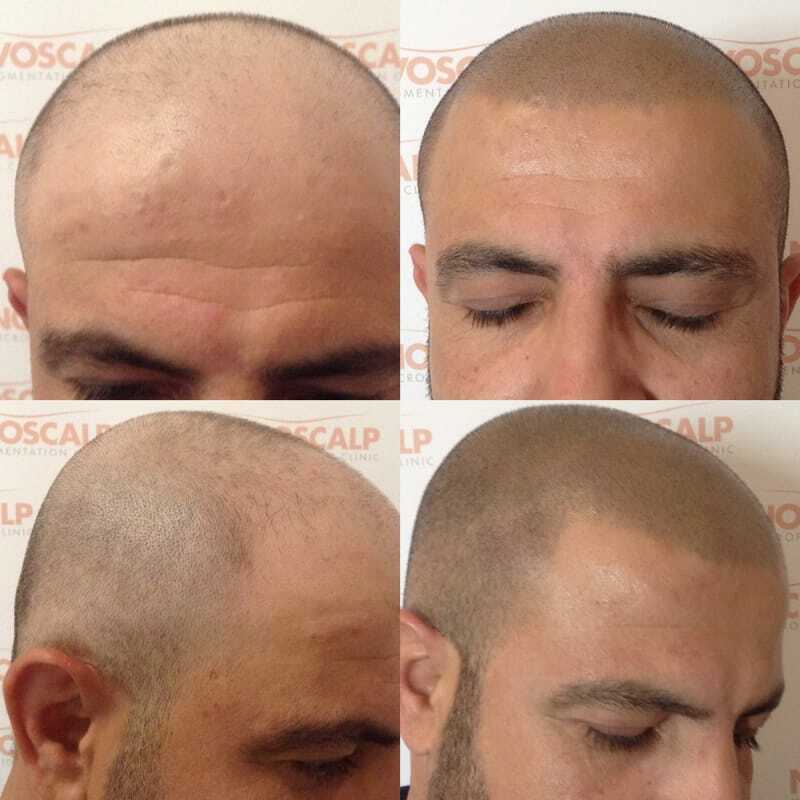 At Novoscalp SMP Clinic we are continually achieving results at the current world standard for SMP. Through our own experience and shared knowledge with top SMP Technicians around the world we have developed a technique for consistent and natural looking outcomes on all skin types. Our delivery devices, needles and pigments are always of the highest quality in relentless pursuit of perfection. This means you can have open discussions about all aspects of SMP with the Technicians who will be performing your treatment to arrive at an informed decision. Should you be a suitable candidate you can initiate the treatment in the knowledge that you have made the right choice and that you can expect incredibly realistic results from experienced and highly skilled Technicians. 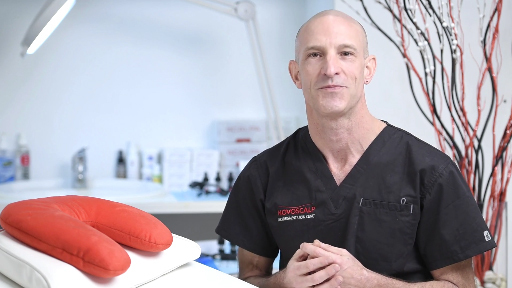 Novoscalp Clinic provides a professional service and unique setting for clients who are considering undergoing Scalp Micropigmentation in Sydney. 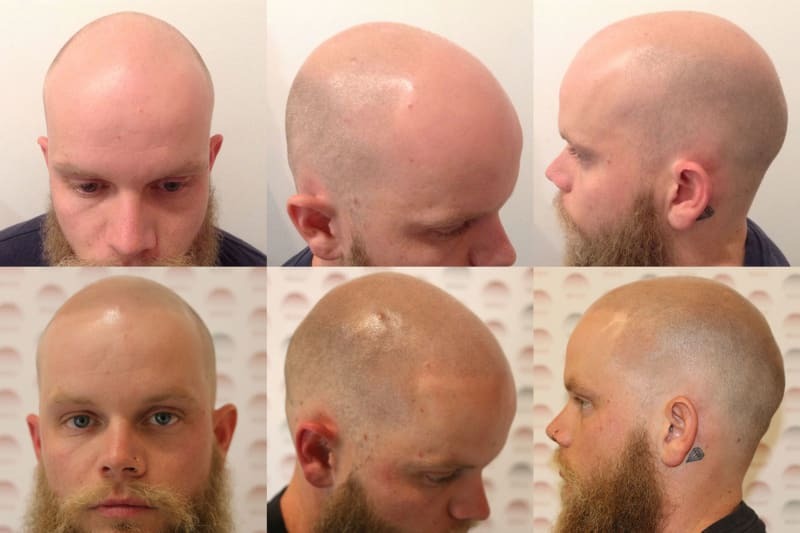 More About Scalp Micropigmentation aka "Hair Tattoo"
Micropigmentation treatments can be very effective at all stages of hair loss and can be carried out on clients of all ages with all different hair colours. An SMP treatment here at the Novoscalp SMP Clinic utilises a specialised technique to ‘tattoo’ pigment directly onto the skin in replication of the absent hair for an effect that is completely natural in appearance. The pigmentation colour is carefully selected based on your existing hair and skin tone. The whole process requires 2 to 3 sessions which usually last for up to 3 hours to achieve the best results. Pricing ranges between $3000 and $5000 (inc GST) for full crown and frontal cover. To provide a more accurate quote, we encourage you to book in for a free consultation as one of our Technicians will need to carefully assess each client on an individual basis. Scalp Micropigmenation is a permanent and affordable solution to hair loss or thinning and at Novoscalp we set a high standard for all our procedures to make sure you leave with a new confidence and a realistic result. Is there really a price you can pay for this awesome solution? 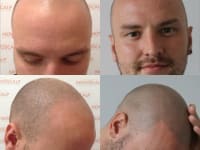 Without spending a fortune on hair transplant surgeries, hair systems or prescription drugs, which quite honestly have little or poor short term results, look no further, Scalp Micropigmentation is your perfect alternative solution for male pattern hair loss by restoring your youthful hairline and gaining that confidence again. 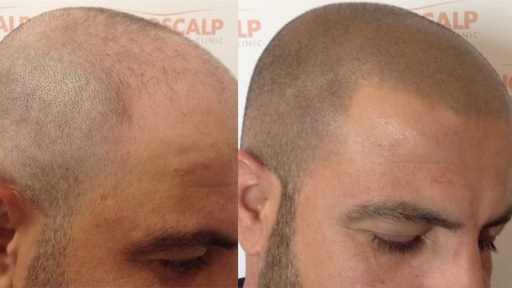 The results from scalp micropigmentation are amazing and super realistic. 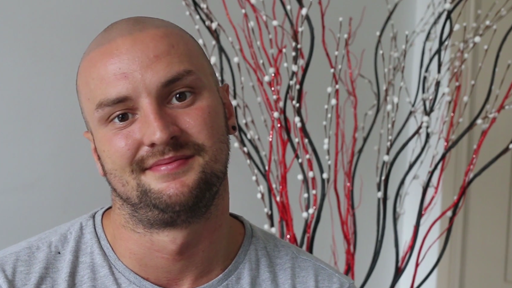 All our clients report how no one is able to spot the difference with this hair loss alternative. Browse through our website and see the results for yourself. 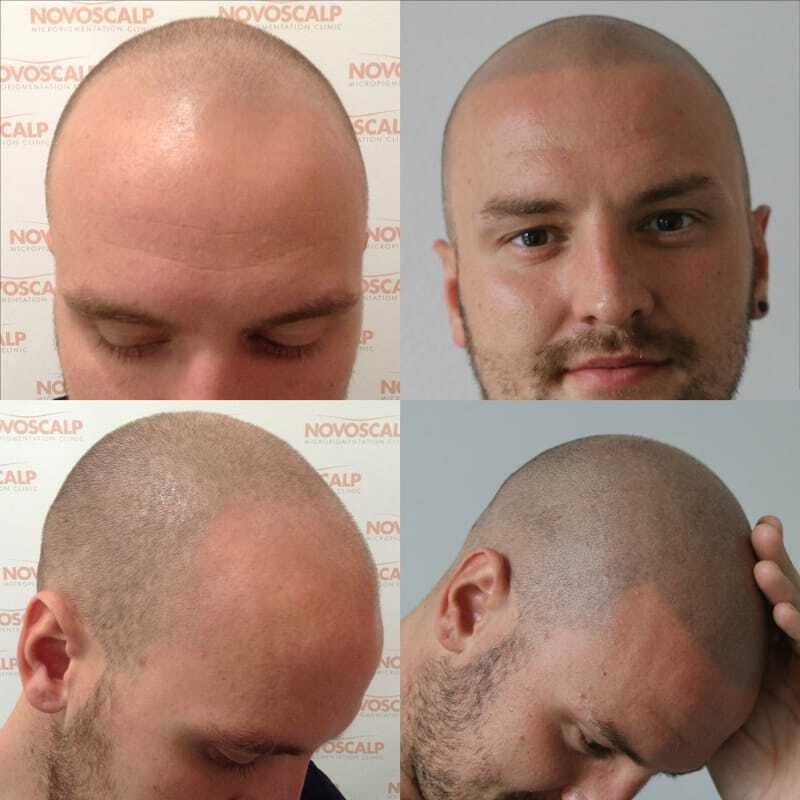 All of our Technicians here at the Novoscalp Clinic have been highly trained and we are extremely proud to be achieving results at the top level of the industry worldwide. We always adhere to the very highest standards of professionalism and hygiene, and offer the most advanced technology to give you the very best results every time. Our superior needles are sterile and single use and we only use organic plant-based pigments that are approved by the FDA so you can be rest assured that you are in the safest of hands here at Novoscalp. Hear the real results from our clients. Achieve a natural look with Novoscalp. Restore your confidence today and book in your free consultation with us.